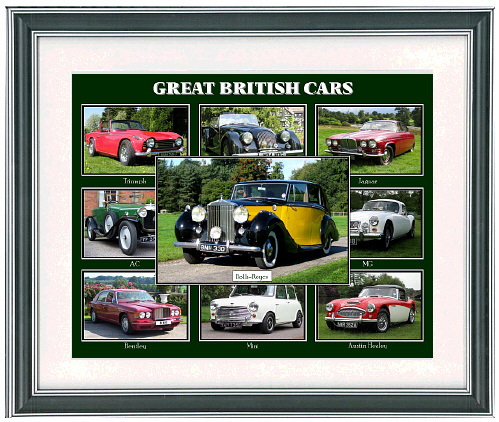 A highly attractive ready to hang piece of photo motoring art which will adorn any enthusiast's office, den or other wall space. The frame measures 25cms x 30cms and includes hanging fixtures, as well as a strut. 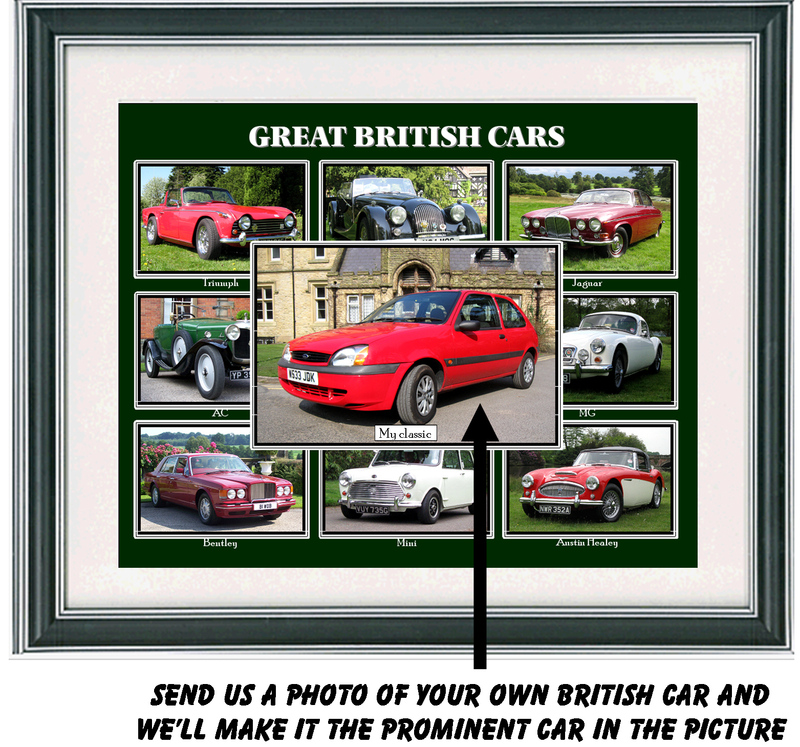 Or, for only £10 extra, send us a picture of your car -or a friend's car- and we will make that as the main photo instead. (See example below). Place your order below and then once you get your confirmation e-mail, reply to the e-mail with a photograph of your car. We will then enhance and crop the picture as best we can and then print a unique picture along with the others at the best quality available and then mount and frame it inside the attractive frame shown above. If you don't yet have a picture, here are a few tips to get the best results. Take your photograph in the best light. Make sure you include all the car in the picture. Be aware of the background behind the car. Stand at a height where your head in roughly in line with the roof of the car. Aim to show roughly an equal amount of one side of the car, as well as the front. Place your order now. Either the standard framed picture or one with your car as the star.